Flint doesn't have clean water. Churches are burning in Louisiana. Trump needs to take care of America first! (04-17-2019 01:54 PM)swagsurfer11 Wrote: Flint doesn't have clean water. Churches are burning in Mississippi. Trump needs to take care of America first! Dont forget illegals are flooding the Souther border. And what churches do you speak of. You sound like a White Nationalist. Your crew in Congress is too busy worrying about Trumps taxes and financials to deal with it. My crew? The ones who have been in charge for only 3 months? But you're right...trump is not responsible for anything. Flint's problems will be solved the moment they stop voting in liberal numbnuts into power there. And also, nice job Obama EPA! Oh, like all that water that was delivered and then NOT DISTRIBUTED by the LOCAL GOVERNMENT? A little self help goes a long way. But why bother when you can just wait for government then beetch when all your free stuff doesn't meet your standards. Your crew was in charge for 8 years and STILL managed to blame Bush.... For EVERYTHING. 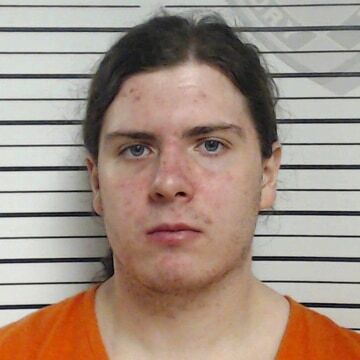 Quote: Holden Matthews, the 21-year-old son of a sheriff's deputy, entered his not guilty plea via video conference from the St. Landry Parish jail on Monday. The judge set a September trial date. Matthews, who had no previous criminal record, was arrested Wednesday on three charges of arson of a religious building. Prosecutors filed documents Monday adding three more charges, accusing Matthews of violating Louisiana's hate crime law, confirming that they believe the fires were racially motivated, a link authorities had previously stopped short of making.Holden Matthews, the 21-year-old son of a sheriff's deputy, entered his not guilty plea via video conference from the St. Landry Parish jail on Monday. The judge set a September trial date. Not even remotely right...for either the in charge portion or the blame portion. A double-fail. Try again. No one is pretending that the locals did not have issues with their management, but to act as if that was the only issue here is just ridiculous. Didnt take them long to pass the ACA and that was a couple thousand pages. But yea 3 months is like a minute when it comes to hurricane relief. Trump is so deeply embedded in the minds of the left. More revisionist history, the ACA was debated for months...and pages don't mean squat. You can print the Bible on the head of a pin. Trumps responsible for hurricanes now? I mean, the guy's good, but day-um, that good? Good. They likely found the right guy and locked his dumbasss up. What should they have done, looked the other way? I fail to see the problem here?!? hunh? I love how the ignorant left blames the federal government under Trump for Puerto Rico when the federal government actually went above and beyond what they normally do in disaster relief situations there compared to anywhere else. Anywhere else and the Army Corps of Engineers electrical crews are there 2-3 weeks tops. They were in Puerto Rico for eight months. Anywhere else the relief utility crews bring a small amount of equipment and materials because the local utility authority has an emergency stockpile for situations like this: in Puerto Rico they had to bring everything because PREPA had absolutely nothing. Anywhere else when FEMA and Defense Dept assets arrive on scene there is already the bones of a command structure in place that they start to flesh out as resources arrived. In Puerto Rico they arrived to find chaos and absolutely nobody in charge. When they arrive they have local National Guard units in place and working with most f them being in place before the storm actually hits, in Puerto Rico even nine days after the hurricane made landfall they had less than half of their National Guard on duty. Was FEMA unprepared? Yes. Considering the fact that they were simultaneously handing hurricane relief efforts in Texas, Florida, and the US Virgin Islands plus a large wildfire in California they were taxed beyond their limits so that's understandable. Resources that would have been available in normal circumstances were unavailable because they were in use elsewhere. But disaster relief disasters start with a lack of disaster preparedness at the local level, and from everything I have heard and read from people who were on the scene and operating in Puerto Rico there was absolutely no preparation apparent to them and for the most part the local authorities were absolutely useless during the relief efforts. We have a saying in the fire service that applies to disaster relief as well: "How the initial attack goes determines the outcome of the fire" In Puerto Rico there was no initial attack because the incompetent, unprepared, corrupt local and commonwealth government did absolutely nothing. They did not prepare, they did not react.....they just sat back and waited on the feds to arrive. I enjoyed every single one of my disaster relief deployments over the years because I truly felt like I was making a difference and helping my fellow man. After hearing the horror stories from the folks I know who did deploy to Puerto Rico I am glad that I wasn't there. I almost responded telling you why that is wrong, but you don't care. You don't have Russia! to whine about any longer, so you have to find something to whine about. Meh, so who goes around burning churches? Oh wait...atheists that don't believe in a God would. Which party has the most atheists? That's right. Ha! The party of Trump are the holy ones.